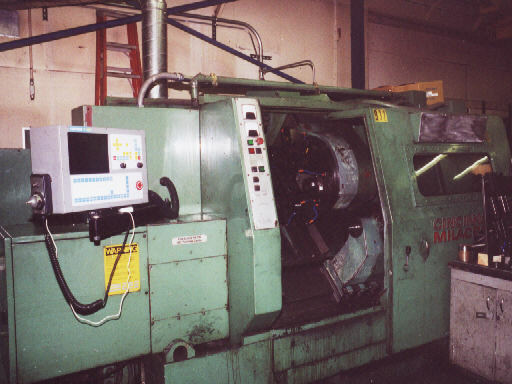 This is a Centroid T400 retrofit on a 1981 universal turret lathe, completed by CNC Services Northwest in the summer of 2001. I installed the console to the left of the work area, on a convenient swing arm. I kept some of the original controls on the headstock panel. All other controls, including those originally on the rolling guard, are provided on the console. 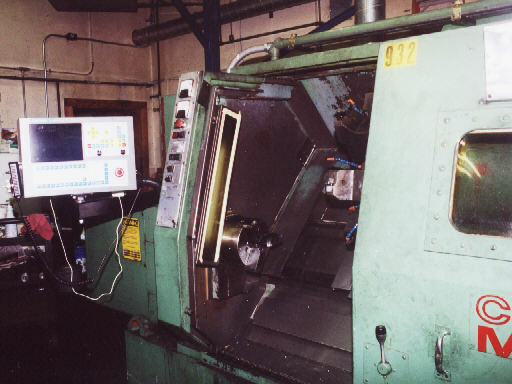 The machine has a 7-station hydraulic turret; tailstock with hydraulic quill; hydraulic chuck; and a 30HP spindle drive. A view of the console, headstock panel and chuck. Master power buttons, Emergency Stop, spindle jog button, spindle lock/free switch and work light switch are retained on the headstock panel. All other controls are provided on the T400 console. 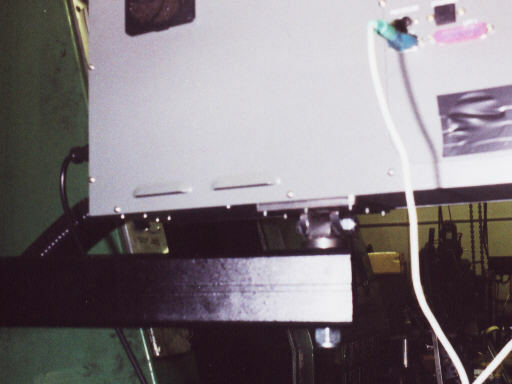 Rear of console, showing tilt/swivel mount. 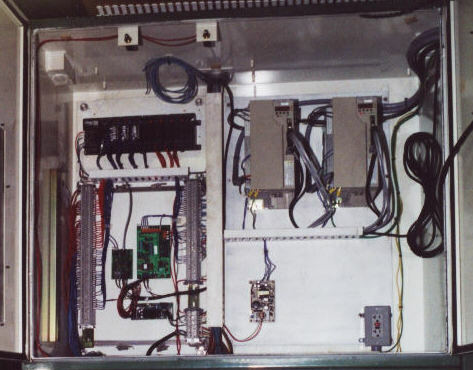 I installed the PLC, servo drives, and console interface boards in the top tailstock end electrical cabinet. I routed the old battery charger power to a convenience receptable for maintenance use. The extra wires at the top of the cabinet are for automatic steady rests which had not yet been installed. 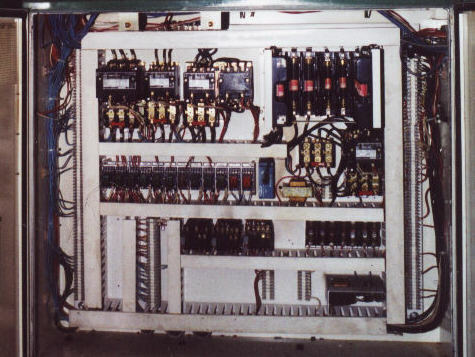 I kept most of the original components in the bottom tailstock end electrical cabinet: power distribution, fuses, motor starters and isolation relays.